Most cylindromas present as single papules of the head and neck in middle aged individuals or the elderly. 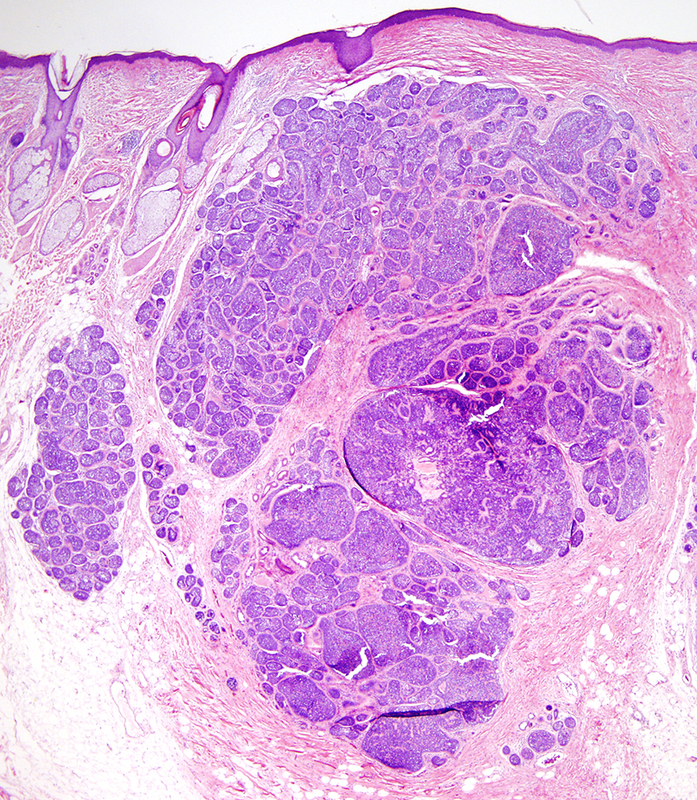 Multiple disfiguring tumors of the scalp have been described and likened to a turban "turban tumor". Multiple tumors can be seen in the setting of CYLD tumor suppressor gene mutations. 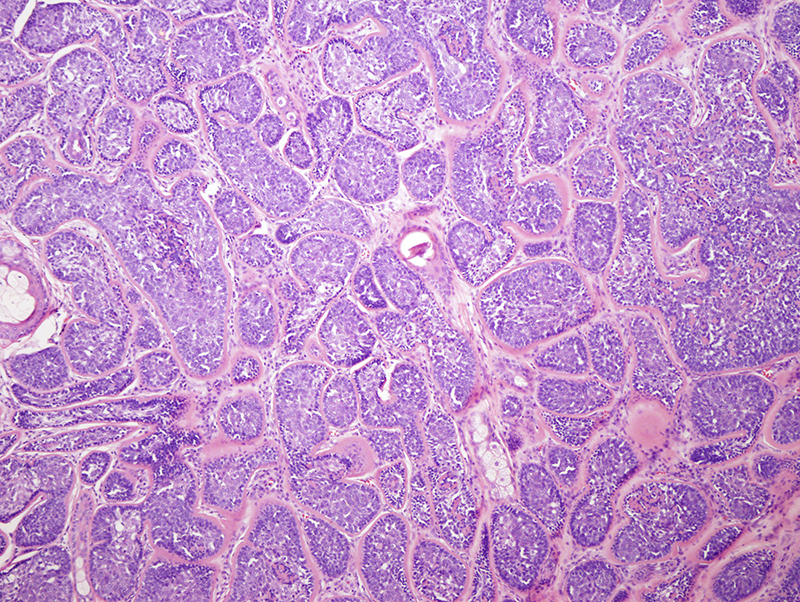 Characteristic features of a cylindroma include monomorphous appearing basaloid islands, eosinophilic hyaline-like globules, thickened eosinophilic basement membrane surrounding the lobules and a jigsaw puzzle-like pattern of growth. 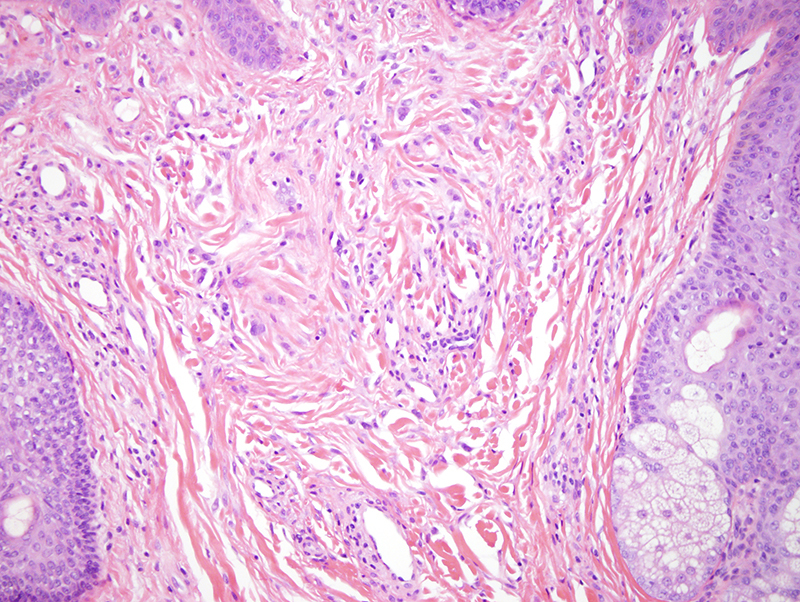 It is not uncommon to encounter tumors showing features of both cylindroma and spiradenoma.